Bugs, cockroaches, bees, hornets, snakes, rats - seen any recently? I've only ever seen a few cockroaches, bees and hornets but luckily there's a great Pest Control Department in Dubai who can help. This is a lovely country with beautifully manicured gardens and parks but like anywhere in the world it is not sanitised so there are obviously things which we don’t particularly like, in particular, creepy crawlies. 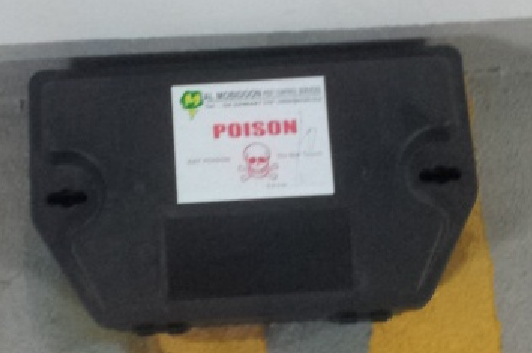 You will see boxes like this on sidewalks, car parks and outside buildings. They’re either grey or black. Keep your kids away and teach them not to touch these boxes. They contain poison and keep the rat population down. In fact, in all the time we’ve been here, we’ve not seen one rat but that’s our experience – your experience may be different. Let us know. But we have seen cockroaches and for whatever reason we find them pretty repugnant. Weevils – aren’t these tiny black things annoying? Once you have a few in your food cupboard check out every pack of everything…somehow they manage to weevil their way into all sorts of spices, flours and other dried produce. How to get rid of the blighters – follow these instructions. Adding fuel to the fire, what about snakes? Don’t run for cover just yet! There are a few around but not in the high rise apartments of Dubai Marina, that’s for sure (unless someone has a pet snake of course). We will add further detail about snakes here soon. Red Back Spiders – yip, Australia has a lot to answer for, exporting these creepy crawlies which have been found in some areas and their distinctive and obvious red stripe tells you to steer clear. Do so. Having said that it’s unlikely you’ll find them in high rise apartment blocks – phew! The Dubai desert areas are home to scorpions which can of course nip you or sting you – try not to stand on them in your bare feet. So, keep your shoes on. They’re not always obvious especially when you’re out camping – just keep your eyes open and be sensible. They are just trying to make some honey but they can gather very quickly so keep an eye out for them usually in the early summer months of May and June. They don’t look too attractive – brown and about the size of a blue-bottle. Their throbbing hives grow very quickly. 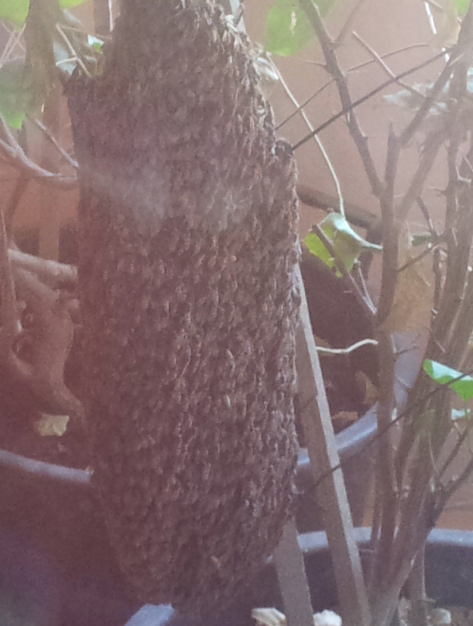 Call the experts if you have a problem with beehives. 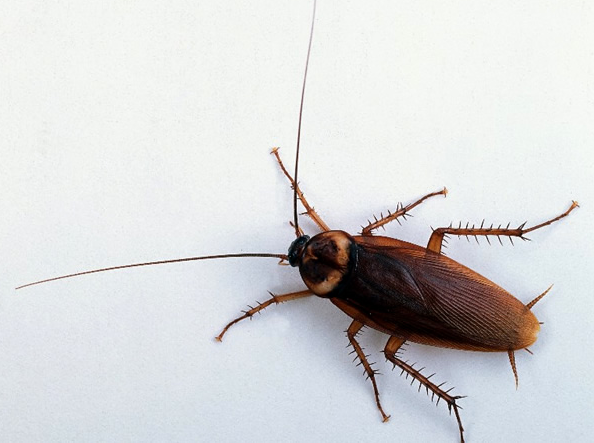 Obviously there are other pests which are occasionally seen here and if you’re at all worried call the Dubai Municipality Pest Control Section on 800 900. Pest Control companies (and not the pests themselves!) have been known to cause a few problems for tenants so make sure you use a licensed company. This is the list of companies licensed in Dubai Municipality and provided by Dubai Municipality Pest Control Section. Read the comments carefully and make sure you follow their guidelines. If you have any doubts whatsoever about any aspect of pest control in Dubai you can call 800 900 for help and advice – press Option 1 for English then Option 1 for enquiries. They’re very helpful.